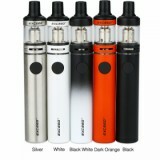 The Joyetech Exceed D19 starter kit is a famous and hot sale pen kit with powerful EX series heads for optimal flavor and cloud. Together with two optional modes: direct output and constant voltage output, Exceed D19 could meet your different vaping needs. With petite appearance and pen style design, the EXCEED D19 by Joyetech is a truly powerful starter kit to produce enough vaporing cloud as you need. Joyetech Exceed D19 features 2ml e-juice capacity with easy top filling design and adjustable bottom airflow. What’s more, D19 starter kit supports two optional modes: direct output and constant voltage output along with advanced dual circuit protection. With the innovative EX series heads with novel design, Joyetech Exceed D19 Kit brings easier and greater vaping experience for you. Both suit for mouth-to-lung or direct-lung vaping. 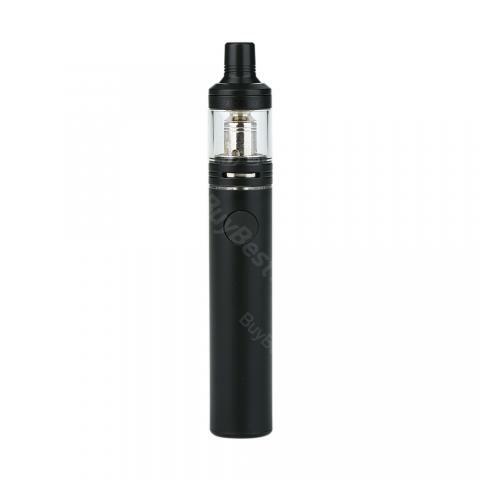 • You also can buy the replacement Exceed D19 battery, Exceed D19 tank and EX coil in BuyBest. Absolutely loved it.! There is a bit of a popping sound sometimes when you vape, but that's about it. No leaks even though it is designed in a way to be completely disassembled. Battery lasts 2 days easily. The MTL coil is perfect. DTL coil is for huge vapors, but it is eliquid hungry.! Joyetech Exceed D19 schmecken gut. Für Anfänger sehr zu empfehlen. Die rauchentwicklung ist sehr gut hat mich positiv überrascht. Fancy and slim. Good taste! For beginners, they should have Joyetech Exceed .